6. Add Rs 150 to your Account via PayPal. 7. Get Rs 150 Cashback in your Paypal account and Rs 150 dream 11 cash will be transferred to your bank when you participate in betting from that amount and win the cash. (If you have average-good knowledge in cricket, then you will surely get some rank and based on that rank, you will earn based on your rank). Make sure you select players who are going to play Next match. instantly or upto 1 hour !! Old or new account required ? all paypal user bro !! I have already 200 rs rupees in paypal account. Wait 24 hours. After that you can contact PayPal. Online chat also available (Except few select issues). Yes I got it. Can you tell me if I made another payment on dream11 ( same a/c ) by different PayPal account will I get the cashback again ? Chances are higher. But i can’t confirm until i verified personally. Virtual card accepted or not?? Is the offer still ON? 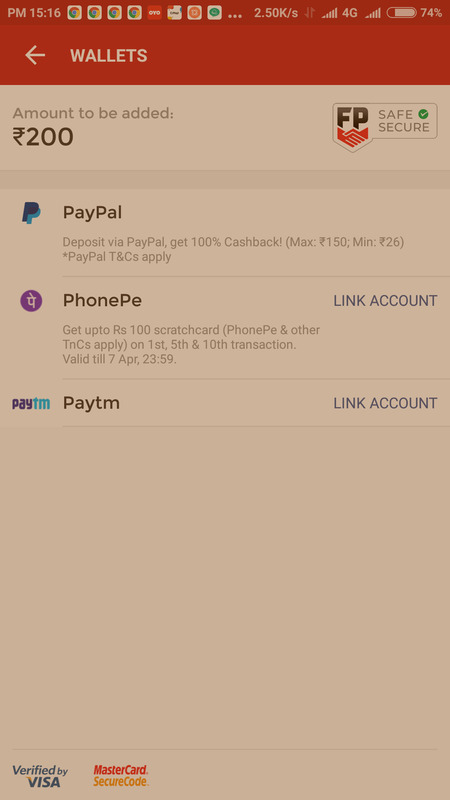 I cannot see anything mentioned on paypal or Dream11 payment gateway? Goto Dream 11 >> add cash >> Select wallets >> Now Find PayPal offer. Ek baat batao dream – 11 pe bank withdrawal minm amount kitna h?? Please Bhai verify kr k btao same dream11 account p 2 PayPal account se payment krne p 2 bar 150rs cashback milega ? This is very important and will be very helpful for all users. Why didn’t you published my last comment ? Or you don’t want to give a try for your users ? You wants to get money from us ( by referral, invite etc in everything ) but don’t want to spend 150rs for us. Seriously ?